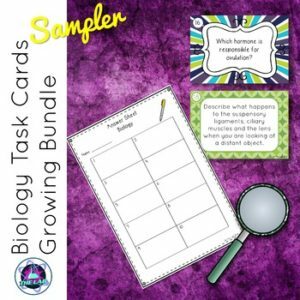 Free Sample Task Cards from my best selling Biology Task Cards Growing Bundle! This download includes sample Task Cards from all of my Biology Task Cards as well as an Student Answer Sheet and Answer Key. The complete set is available as a Growing Bundle. * Beside each purchase you’ll see a Provide Feedback button.